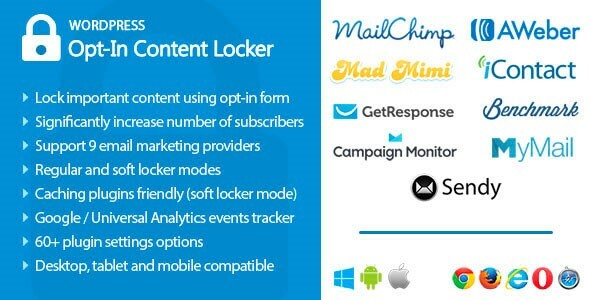 Opt-In Content Locker for WordPress v2.62 - CODELISTPRO | Free Premium Scripts, Plugins, Apps Source Code. Opt-In Content Locker is a plugin that allows to lock important content on your WordPress website and display it for subscribed users only. All you need to do is to wrap protected content with shortcodes [optinlocker]...[/optinlocker]. If people want to view this content they must submit their name/email. After submission all locked content become visible. Very simple workflow.